Is it Safe to Travel to Bocas del Toro, Panama? When you travel abroad, the odds are in your favor that you'll have a safe and incident-free trip. Panama is one of the safest countries in Latin American for tourists and for residence. In fact, it is one of the safest tourist destinations anywhere. For this reason, dozens of multinational companies are changing their Latin American headquarters to Panama. More than 100 multinational companies have offices in Panama, including: Dell, Hewlett Packard, Proctor & Gamble, Coca Cola, FedEx, United Airlines, PriceSmart, Citibank, ExxonMobil, ChevronTexaco, Radisson, 3M, AES, Avaya, Caterpillar, Homewatch CareGivers, Johns Hopkins International Medicine, Telefonica, Sumitomo, Itochu, Mitsui, Sony, Matsushita, HSBC, Cable & Wireless, Harcrow, Samsung, LG, Hyundai, Nestlé, Roche, Peugeot, Western Union and Thunderbird. Ask any foreign resident and they'll tell you how safe they feel living in Panama compared to any other country in Central America. And within Panama, Bocas del Toro, being a small charming town of only 8,000 inhabitants, it's even a safer place. Where will Spanish take YOU today? Bocas del Toro! Having said that, Panama is a developing nation with social disparities which creates an environment for petty crime. As in the rest of Latin America, foreigners, regardless whether they are wealthy tourists or backpackers, retired millionaires or blue collar workers, are generally considered wealthy compared to the locals, which puts them at a higher risk of being targets of petty crime and rip-off schemes. But if you inform yourself before you go and keep a watchful eye on your surroundings as you travel, you'll most likely have a safe and enjoyable trip in Panama or any other country in Latin America. We have prepared the following travel tips to help you avoid serious difficulties during your overseas travel. Many of these tips are just general travel tips or specific for your journey on the way to Bocas del Toro (mostly for Panama City or for San José, Costa Rica) but it can't hurt to practice them throughout your entire trip. Bocas del Toro is obviously a lot safer than the bigger cities. We wish you a safe and wonderful journey! Always try to travel light. You can move more quickly and will be more likely to have a free hand. You'll also be less tired and less likely to set your luggage down, leaving it unattended. Carry the minimum number of valuables, and plan places to conceal them. Your passport, cash and credit cards are most secure when locked in a hotel safe or hidden inside your bedroom when staying with a host family. A lock is provided at the beginning of your stay with a host family: please use it to secure money and/or valuables. When you have to carry them on your person, you may wish to put them in various places rather than all in one wallet or pouch. Avoid handbags, fanny packs and outside pockets that are easy targets for thieves. Inside pockets and a sturdy shoulder bag with the strap worn across your chest are somewhat safer. One of the safest places to carry valuables is in a pouch or money belt worn under your clothing. Never wear anything that projects affluence. No gold chains, expensive watches and rings, luggage, or other paraphernalia should be in easy view. Don't count money or flash large notes in public. Better yet: leave your jewelry at home. If you wear glasses , pack an extra pair. Bring them and any medicines you need in your carry-on luggage. Bring one or two major credit cards instead of cash. A debit card is also always a great idea (if you wish to pay with cash using your debit card, you can pay for your course withdrawing $300 - $500 USD per day from an ATM). Traveler checks cannot be cashed in Bocas del Toro but we do accept them as a form of payment at our school. Pack an extra set of passport photos along with a photocopy of your passport's information page to make replacement of your passport easier in the event it is lost or stolen. Never list your home address on the luggage tag (makes it easier for identity theft). If you're employed, put the company's address on the tag; if visiting friends, staying at a host family or hotel in Panama, you can list their address. Use covered luggage tags to avoid casual observation of your identity or nationality. If possible, lock your luggage. Carry important papers with you; NEVER check anything that you simply cannot afford to lose. Photocopy your passport, driver's license and credit cards. Consider getting a telephone calling card. It is a convenient way of keeping in touch. If you have one, verify that you can use it from your overseas location(s). Find out how to call home from Panama before you come. Purchase a cell phone upon arrival (less than $20 with calling time) or travel with an unlocked mobile and use a local sim card. If traveling with children, bring along an updated photograph of each child in the event that you become separated from them. Write your child's name and your hotel number on each card; include a close friend's or relative's contact information on the card. Give a card to each child which they'll carry with them as long as you're away. Destroy once home. Bring along a basic first aid kit with bandages, iodine, mosquito repellant, sunscreen, alcohol packets, dramamine, pepto bismol, diarrhea medicine, etc. Make two photocopies of your passport identification page, airline tickets, driver's license and the credit cards that you plan to bring with you. Leave one photocopy of this data with family or friends at home; pack the other in a place separate from where you carry the originals. Leave a copy of the serial numbers of your travelers' checks with a friend or relative at home. Carry your copy with you in a separate place and, as you cash the checks, cross them off the list. 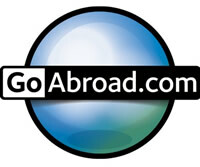 Use the same common sense traveling overseas that you would at home. Be cautious in areas where you may be more easily victimized. These include crowded places, bus stations, airports, elevators, tourist sites, market places, supermarket tills, festivals and crime-ridden neighborhoods. Know where your purse is while in restaurants by the streets. Don't use short cuts, narrow alleys or poorly lit streets. Try not to travel alone within larges cities at night. Try to seem purposeful when you move about. Even if you're lost, act as if you know where you're going. Try to ask for directions only from individuals in authority. Women particularly should never accept a drink from a stranger. Keep an eye on your drink at all times. Vary your schedule; try not to come and go at the same time everyday. Make sure your hotel room has a peephole and a deadbolt lock. Secure the chain and secure the door by pushing a rubber stop under it. Stay in a room near a stairwell. Never take the elevator if a fire or smoke is detected. Always stay in a hotel where the doors enter the hallway and not directly from the outside. If you're confronted, don't fight back -- give up your valuables. If mugged, cooperate with the assailant and voice your willingess to comply by saying, "You can have anything you want. Do you want me to get it or do you want to get it?" Avoid eye contact. Keep $25 - $100 in your pocket as insurance. If hostile, offer additional money or possessions that the robber may have overlooked. Keep your camera hidden until you're ready to use it. Use tote bags instead of camera bags. Do not hang your camera around your neck. Withdraw money from ATMs only during daylight hours, preferably in banks or hotels. Have tips ready in advance for service personnel. Do not flash your passport in public. Discreetly show important documents to officials only. To avoid carrying large amounts of cash, change your travelers checks only as you need currency. Countersign travelers checks only in front of the person who will cash them. Keep a mental note of safe havens, such as police stations, hotels, and hospitals. Do not leave money and other valuables in your hotel room while you're out. Use the hotel safe. If you're out late at night, let someone know when you expect to return. If you're alone, do not get on an elevator if there is a suspicious-looking person inside. If you won't be working while abroad, just leave it! With a smartphone or tablet you should be able to take care of most tasks while on holiday. If you do have to bring one, here you'll find some advice. Get a strong leash made of metal and lock it to your laptop's security slot on one end, and the leg of a cafe table on the other. Use this leash at your hotel/host family as well and hide laptop if there is no safety vault. You shouldn't be worried about your host family, but even if Bocas del Toro is extremely safe, your host family's house can be robbed. If using laptop in public, Laptop leash also serves as a visual deterrent, so don't hide the cable. Leave it up in plain sight. And realize this kind of safety net will only go so far. Don't leave the laptop for a restroom run, as a quick thinking notebook snatcher just needs a snap of the wire cutters to steal your goods. Keep your eyes open- don't disappear into your Internet world. Look up and look around. No need to stare suspiciously at everyone nearby, but do show a measure of alert awareness of your surroundings. Look for a laptop carrier that doesn't scream "laptop carrier". In the same way you shouldn't flash $1500 USD in cash, you shouldn't go arround with a label saying: HEY, I HAVE A LAPTOP! Women can find purses and tote bags that laptops can fit in, and for men, briefcases, backpacks and courier bags might be less obvious choices. Lastly, and always important to do - back up your laptop and install anti-theft software on it. And keep the backups somewhere safe. It's not the law, but it's still a REALLY GOOD IDEA. If your precious laptop does get snatched, you at least will have your irreplacable data. Public transportation in Panama is generally safe but as follows you'll find some advice that applies to anywhere you travel to. Only take taxis clearly identified with official markings. Beware of unmarked cabs. Select your own taxicabs at random (don't let someone choose one for you). Don't take a vehicle that is not clearly identified as a taxi. Compare the face of the driver with the one on his or her posted license. Sit behind the driver so you can see him, but he cannot see you. Pay the driver upon arriving at your destination and while you're still sitting in the vehicle. Avoid getting in a cab that is already full. In Bocas we've never heard of muggings taking place in taxis but it can happen in David or Panama City. When getting on a bus make sure your luggage is placed on top or inside storage compartment and don't get on the bus until storage compartment is closed. If you plan to fall asleep and have hand luggage, tie it to you and make sure that you'll notice if someone is opening zippers (locking them with clips for example). When waiting for a bus, stay in well lit areas, with other people around you. Traveling on a bus from Panama City or San José, Costa Rica, to Bocas del Toro shouldn't be any problem, just always keep an eye and a hand on your luggage. As much as possible, avoid driving at night, or if it's raining very hard, pull over. Don't leave valuables in the car. If you must carry things with you, keep them out of sight locked in the trunk, and then take them with you when you leave the car. Don't park your car on the street overnight. If the hotel or municipality does not have a parking garage or other secure area, select a well-lit area. Don't get out of the car if there are suspicious looking individuals nearby. Drive away. Be aware of 'staged' car accidents meant to catch you off card. If detained for whatever reason by an official, ask for identification. If in doubt, tell them that you want to see his superior. Keep your emotions in check. Tourists are warned not to travel deep into Darien Province, near to the border with Colombia (complete opposite side of the country from where Bocas del Toro and Boquete are - adjacent to the border with Costa Rica - Boquete is to the Southwest of Panama, Bocas del Toro to the northwest, and Colombia is Panama's eastern neighbour). Reliable communications and medical infrastructure are not readily available in that region, which makes travel there potentially hazardous. Moreover, all around the Panama-Colombia border area the presence of Colombian terrorist groups, drug traffickers and other criminals is common, increasing the danger to travelers. From time to time, there may be demonstrations protesting internal Panamanian issues, or manifestations of anti-American sentiment by small but vociferous groups (mainly in large cities such as Panama City, David, Changuinola or Colon). While most demonstrations relate to labor disputes or other local issues and are typically non-violent, it is nonetheless a good security practice to avoid demonstrations. Only drink in bars and restaurants. Drinking in public streets is not allowed. Drugs such as marihuana and cocaine are not allowed by law. Go out in groups and avoid going out by yourself. Do not accept drinks from strangers. Dress in a decent manner (a t-shirt is always required in public until you arrive to the beach). Visitors should be cautious when swimming or wading at the beach. Some beaches, especially those on the Pacific Ocean (and in the Caribbean during surf season - December to April, June and July mainly), have dangerous currents that cause drowning deaths every year. These beaches are seldom posted with warning signs (nor lifeguards). Do not surf or swim by yourself. If you surf, be cautious of the conditions and don't get in anything where you don't feel confident that you'll be safe. If you don't know how to surf don't try to learn by yourself: take lessons with a certified surf school and respect the locals. If you decide to hike, go to a remote beach, or plan for an outing in the area, provide your designated person at your base (hotel receptionist, front desk at Habla Ya, travel companion, host family) with details about your plan. Always notify your designated person at your base of any changes to your plan. Never hike alone or without a reputable guide. We have several experienced guides who will show you the best trails, breathtaking views, wildlife and exotic birds. The fact that you might hike by yourself at home doesn't mean you should be able to hike alone in Panama as our hiking trails are not well maintained nor clearly marked, and you could easily get lost. Our National Parks barely have rangers (unfortunately only enough to charge the entrance fees). Rivers can also suddenly surge. It's not worth considering saving $25 and going by yourself if you're putting your life at risk (and besides you'll be helping the local economy by hiring a certified guide). Keep a fully charged cell phone with you. Leave your phone number with your designated base person or known Boquete resident. Cell phone signals diminish with elevation and distance, and signals will completely drop in certain areas. Keep the phone numbers of key contacts. Always carry the following with you: ID, lighter, whistle, flashlight, plenty of water, food bars. Wear brightly colored clothing to make it easier for rescuers to see you if you should get lost or injured. Wear clothing in anticipation of sudden weather changes. Rain storms develop suddenly, rivers rise quickly without warning (never attempt to cross a river over improvised bridges such as fallen logs) and temperatures drop with elevation (yes even in the tropics in can reach freezing point at night in the mountains). Never accept rides from unknown persons or from anyone who has not been recommended by a reliable Boquete resident. If you hire a driver or boat men to pick you up at the end of your day, only pay them at the end of the trip and never upfront. You are better off hiring tours through official companies instead of just picking a random independent guide. Their guides will be certified and trained in first aid, the businesses will be paying their taxes and there will be a team of people to support you if anything goes wrong. Only join rafting trips with reputable companies. Crime in Panama City is moderate but increasing, particularly because of the activities of youth gangs. The city of Colon is a high crime area. Police checkpoints have become commonplace on weekends on roads in both cities. Based upon reported incidents by local police, the high-crime areas around Panama City are San Miguelito, Rio Abajo, El Chorrillo, Ancon, Curundu, Veracruz Beach, Panama Viejo, and the Madden Dam overlook. Crimes there are typical of those that plague metropolitan areas and range from rapes to armed robberies, muggings, purse-snatchings, "express kidnappings" from ATM banking facilities, in which the victim is briefly kidnapped and robbed after withdrawing cash from an ATM, and petty theft.